Portugal, My First Time Abroad! 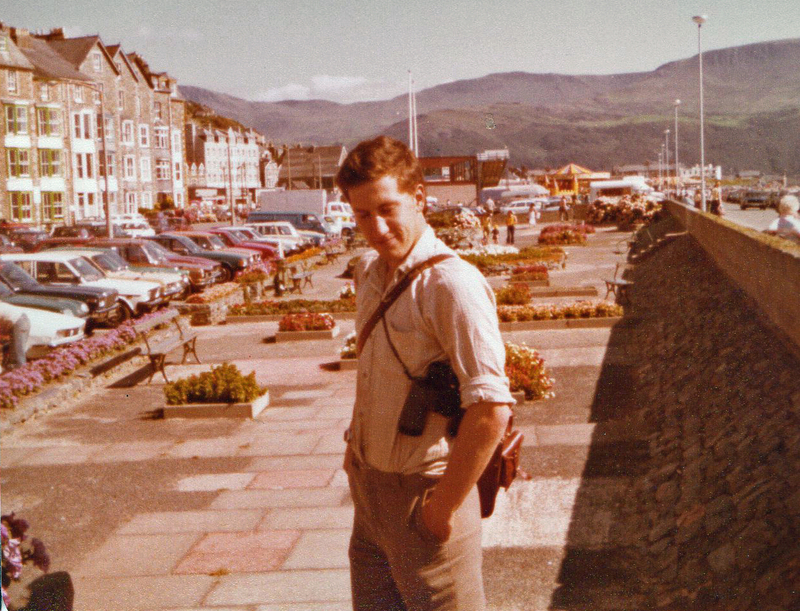 On the 14th August I stepped on board a Ryan Air plane and set off on my first ever trip abroad. Excited doesn’t even cover it! During the flight I managed to get some great photos of the views using my phone from my window seat on the plane. 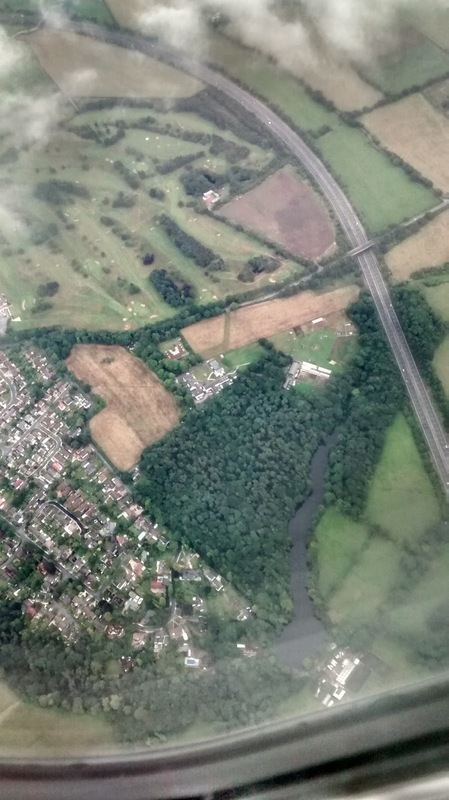 We were rather lucky as it wasn't too cloudy, and as we were flying from Liverpool, we also flew right over Frodsham Marsh, which was amazing to see from a bird’s eye view. The rest of the flight was just as good and I got some fantastic views of all the urban and rural areas scattered across the UK. I realised just how big our societies actually are. We arrived quite late at night in Portugal, so we decided to spend a night in Porto rather than drive all the way up to Paredes de Coura in the dark (and dad hadn’t driven on the right for quite a few years). Our hotel room had a balcony looking out across Porto and the next morning I did my first bit of birding from it; before even leaving the hotel I had already seen a Black Redstart and a Serin. The houses we could see from the balcony had quite a few bird traps set up along the fences, which wasn’t quite so nice to see. These were probably for the pet trade. Next morning we headed off to collect our hire car and my next great bird was a Yellow Legged Gull surrounded by tourists as it paddled in one of the fountains in the middle of Porto. The drive up to Rubiães (where we were staying for 2 weeks) produced even more new birds; seeing my first White Storks and Spotless Starlings. However, it wasn't just the birds that caught my attention, all of the scenery was absolutely amazing and it was great to see the different culture the Portuguese had to the English in the way they farm and all of those sorts of aspects. The landscapes were so interesting, as all you could see were hills. There was no flat land anywhere you looked, the hills even rolled right down to the sea in places where they gave way to amazing wide and inviting estuaries. Once off the main toll road, we need to pass through the hills, twisting and turning and never too sure what was round the next corner. And when I say twisty I mean twisty! I noticed that part of Portugal, was littered with small towns and villages, however unlike the UK having lots of major towns and cities, all the communities were in little small holds, growing their own crops, rearing a few live stock and providing for themselves (which seemed a lot more environmentally friendly). Everywhere always felt like you might see something amazing, as the amount of wildlife was unbelievable. There seemed to be a habitat for so many species, especially around our villa (which also gave us some cracking views and scenery). One day we were just in the pool when a Hoopoe flew down and joined us. The tree outside my bedroom window was full of Serins every morning. Every morning we had a Hoopoe coming to our garden which gave us some spectacular views (and sometimes more than one bird). We had some fantastic views of Pallid Swift in a Portuguese town called Caminha, where we were also watching a Gull Billed Tern, Roseate Terns and a single Montague's Harrier. We also had Turtle Dove, Fan Tailed Warbler, and Cirl Bunting outside where we were staying. As well as birds, there were some incredible butterflies, such as the Swallow Tail (including a scarce sub species) and also some great moths, including Latin, Scarce Merville du Jour, and Green Silver Lines, we also had Praying Mantis coming to our house lamps. Every night we joked about putting the moth trap on and simply turned on the outside lights. Another great place we visited was a waterfall with a deep plunge pool where we swan in the icy fresh water. This pool was populated with so many stunning electric blue Demoiselles. We spent a day out in the Peneda Geres National Park, but on the way we stopped at an amazing viewing point where you could see for miles and miles. The actual park had single lane tracks with steep drops down each side, but it was worth it for the views we got and the wildlife we saw up there from lizards to shrikes. Wild ponies wandered along the tracks and long horned cattle were free to roam and graze. Just amazing. In the evenings, we had BBQs of fresh fish, roasted vegetables, breads and local meats and spent a lot of time talking and relaxing, or going in the pool of course. An absolutely fantastic holiday, and a brilliant one from the view it was my first holiday abroad. I won't forget this for a long time, and I'm sure there will be more brilliant ones to come. I will leave you with a few more pictures from the trip. I'd only been back in school for a few days last week, when I needed a day off for an important visit to London. A while ago I had been invited by the RSPB's Matt Adam Williamson to give a talk in Westminster at the RSPB's Summer Reception for MPs and business leaders. So last Thursday I headed off on the train to London with my parents (passing that great wetland area just outside Stafford again which I still haven't been to). London was jam packed as usual, but we had some spare time so I did a bit of birding looking over London Bridge. Of course there were Black Headed Gulls and pigeons, but I was very surprised when a Kittiwake flew along the river and then under London Bridge, quite a scarcity in London. With Big Ben so close, it was easy to keep track of the time and it was soon time to meet up with Matt outside the St Stevens entrance of Westminster. After getting through security, we joined up with more RSPB people and the finalists of their Young British Wildlife Photography Awards. We were then joined by Kerry McCarthy MP who gave us a tour round Westminster. Rory from the RSPB used to work for an MP so he was able to share loads of interesting facts; like a tile on the floor facing the wrong way as nothing was allowed to be as perfect as gods creations when Westminster was built. It was interesting listening to Kerry talk about a typical day for an MP and hearing about how things work in Lords and the Commons. Last week Kerry was talking about the changes that could happen with a new Labour leader and today she was made Shadow Environment Minister. I have a good feeling about that. It was really interesting walking around parliament, however I couldn't help thinking about what was coming next and the opportunity I was about to have. I kept going over in my head what I wanted to say, so I probably was a bit quiet during the tour. The actual event was taking place in The Terrace Pavillon, which is the green and white structure you can see in the picture below. Before the talks began it was great to meet up with RSPB President Miranda Krestovnikoff, RSPB Chief Executive Mike Clarke and RSPB Director of Conservation Martin Harper. There were a few other faces I knew including Mark Avery who it was great to catch up with. And then it all got a bit serious and the talks began. First up was Kate Parminter from the Liberal Democrats who talked about the need to save nature, she also mentioned who else would be speaking. Mike Clarke was next up and he spoke really well about the RSPB's new Defend Nature report. He also showed the most amazing video about just how stunning and fragile our eco system is. The DEFRA Minister Rory Stewart went next. He talked about how the UK could be a leader in environmental protection. The UK SHOULD be the leader in environmental protection and I really hope that happens. Next up was a talk from an industry leader, Fiona Wheatley from M&S. She talked about how businesses need to have a plan for trying harder and doing more for the environment. I really do hope all businesses are made to do this. Next up was one of my favourite talks, RSPB President Miranda Krestovnikoff. You can tell can't you, when someone really believes what they are saying. And before I knew it, she was introducing me. My talk was last in line, which was perfect, as the theme of my talk was about nature always being at the back of the queue. I was a bit nervous waiting all this time and felt under a bit of pressure being in front of so many people with the power to make a difference. I really didn't want to mess up this opportunity. So I basically talked about how it's not nice being at the back of the queue, about how we take from the natural world without giving enough back, about the need to plan 500 years ahead and not 5 years ahead, and most importantly I asked all the MPs and business leaders to make a pledge and put nature at the front of the queue and have courage in all the decisions they make. I also asked them to talk to the younger generation and recommended that they read the Vision for Nature report that A Focus on Nature will be publishing this Autumn. And do you know what, as soon as I started talking, I thought I'll probably never get an opportunity like this again, so make it count. At the end of the presentations it was great to talk face to face to a lot of the MP's, business leaders and other guests about the issues facing wildlife, and meet up with friends I hadn't seen for a while. I collected lots of business cards and will be following up on quite a few promises made. So overall a fantastic event. A massive thank you to the RSPB for the opportunity and I hope that when decisions are being made in Westminster there might be one or two people who move nature much further up the line. For a bit more about the day, you can read Martin Harper's thoughts here and Mark Avery's thoughts here. I had been waiting really looking forward to last weekend as it was Migfest, an annual migration festival at Spurn in Yorkshire, where there is a good number of talks over a couple of days, brilliant bird watching, and for the first time this year, the young birder of the year award. This first ever young birder competition was between me, Ellis Lucas and Evie Miller, and I couldn't wait to see them again, as we have all met a few times through A Focus on Nature events. Migfest was over a two day period, however I only attended for the day, and because I live in Cheshire, it was an early start and a late finish for me. My morning kicked off at around 4:30am with quite a drive ahead of us, 3 hours roughly. After carefully reading the weather forecast it didn't look too bad, however it proved to be quite horrendous on the drive across when we joined the M6, so I was pretty glad that the front had cleared by the time we arrived. Once we had reached the Kilnsea area, I already recognised a few faces including Lizzie Bruce and Nick Moran. By this time it was about eight o'clock. It took us a bit of a drive around to locate Westmere Farm, where we had to collect our tickets; however once that had been sorted I was already off to explore Spurn, as I couldn't resist a sneak peak over the North Sea at the sea watching hut. We headed there with Evie Miller and her mum Lorraine. It was quite rough out at sea, however the wind proved to bring some pretty good bird across for us, mainly flying North, and within a the rough 20 minute period I had already seen my first Sooty Shearwater, Arctic Skua, Long Tailed Skua and Cory's Shearwater. The Cory's was great to see, as it is a bird not many people get to witness and a rarity for Spurn. About 30 seconds after the Shearwater had flown out of view, Ellis Lucas and his dad Mark arrived, gutted to of missed the Cory's (although they had just seen a Black Stork), but just in time to meet up for our competition, Now this was where the series stuff came in. We were introduced to everyone by Nick Whitehouse in the actual observatory, and then assigned an assessor to take us out to a certain area of Spurn to see a certain group of birds and ID them. Each of us did this at the same place just at different times. So first up I was sea watching. Sea watching was fairly difficult, and I was watching out with Garry Taylor, a brilliant birder and one who knows Spurn very well, as all the assessors did. It was tempting just to chat to him about all the birding he has done there, but I had to remember I was being assessed. I was instructed to focus on a certain wind turbine out at sea and anything that flew past in that focus point I was told to identify, I saw Red Throated Diver, Grey Plover, Arctic Skua, Common Scoter and Sooty/Manx Shearwater. I managed to get all the species I was tested on correct, a good start! Next up I had bush watching, where we had to go around and through the shrubby area of Spurn and identify anything that was seen, this was fairly straight forward, seeing Pied Flycatchers, Stonechats and Linnets. 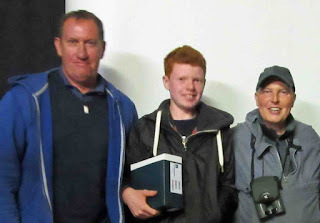 My mentor for this activity was Nick Whitehouse himself, who was great to talk to and engage with, I have to say a big thankyou to Nick as it was partly his idea to come up with the young birder of the year competition. After the half way point we moved on to estuary watching, the estuary being the Humber, unfortunately the tide was in so it was even harder with the wading birds being in flight, however I think I got everything right, and the supplementary question. If you want to have a go, the question was name a wader with yellow legs from Europe and one from America. Finally we had the stage I found most difficult, the lab test, where we had to identify a certain number of calls and feathers of the wing, I think I did okay with that, however one or two of the calls caught me out. After that we did 20 minutes or so of Vismig (visible migration), which was very difficult, not from the point of identification, but because there wasn't too much about (because of the wind and rain). We did manage a few good species though. It was a great morning and it went so quick. In no time at all competition had drawn to a close. It was nearly time for lunch, but Ellis and I were hoping to see the Red Backed Shrike, so we spent a quick half hour finding it and watching it before heading back to The Warren. We all had a great lunch together and then the assessors talked through how we had done and what the results were. One of the best things about the competition was meeting the other young birders of course and getting all the individual time with the assessors. They knew so much and showed you so many great places on Spurn. So a massive thank you to Nick Whitehouse, Garry Taylor, Nathan Pickering and Adam Hutt. And a big thank you to Spurn Obs and NGB who were sponsoring the competition. As Nick said, it wasn't about the final result, it was about all of us young ones having a great opportunity, learning and being encouraged to keep going. I then had a few hours of time to kill before the talks in the evening, so I spent it with Ellis whilst mum and some of the other grown ups went to the pub and left us to it, however they were pretty disappointed when we informed them we had great views of two Sabine's Gulls which flew north. I also got to catch up with Bill Morton (another brilliant birder who I spend lots of time with at Frodsham Marsh), and also Don Weedon, who used to bird at the marsh alot as well (along with Bill and Martin Garner). Anyway after informing the parents about what they had missed, we went to look for the Barred Warbler, which we both had missed twice previously in the day (and then missed again, although Evie got it later and Ellis got it the next day). We also got great views of a hunting Kestrel and a Spotted Flycatcher. Of course the birding was great and I could ramble on for ages about it, but I had better move on to the evening event. As much as I was looking forward to the talks and awards, I couldn't wait for the food, a hog roast was waiting for me, which I must say I wolfed down after all the walking and birding I'd been doing. After the food there was still about half an hour before Martin Garner started the main event (one of the nicest people I have met and if you haven't met him, you must try) so I managed to mingle and meet some more people, including Colin who was testing me and Ellis on birds he had taken on his phone like Armenian Gulls and alot of other species. "Please can you make your way into the event hall" I suddenly saw all the people piling in to the room. The evening event was about to start and the first thing on the agenda was the young birder award, where Martin Garner introduced Nick Whitehouse, who then introduced us youngsters. Nick told everyone about the event, and then gave out the prizes, where we all got given a copy of Martin's new book, and all got given a trophy, a stay at the Spurn Observatory and free membership. The main prize was a pair of Swaroski Binoculars!!! Of course we soon had to move on, and I couldn't wait for the only talk of the night, birding in Israel. This talk was fantastic, and really showed me the power of mass migration is some parts of the world. It was great to meet up Yoav Perlman after his talk, and Israel is a place I would love to go to in the future. After the talks I stayed for a bit to talk to Bill, Martin and Don. 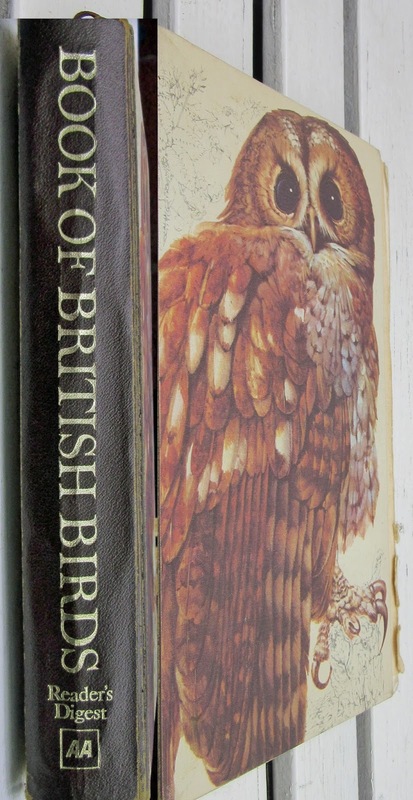 It was so interesting as they were all birding Frodsham Marsh at my age. So what can I say, a fantastic day at Spurn, and one I'll never forget. I must say a massive thank you again to everyone who made it possible and gave up their time. I can't wait for next year, but I am sure that Spurn is a place I will go back to soon. Tonight I am posting the last guest blog in the 13 Years Wilde series. I will be writing a blog about my thoughts on all the guest blogs soon, and that will take a bit of thought as they have all been so honest, detailed and there were quite a few common themes that came up as well. The last (but not least) guest blog comes from one of the most amazing birders I know, Bill Morton. I met Bill on my second ever visit to Frodsham Marsh, and straight away I knew I could learn so much from him. He has birded the Marsh for years and years and writes a brilliant blog all about the Birds of Frodsham Marsh. He is jam packed with knowledge, really encouraging and really makes you think as well. If you ask how many Black Tailed Godwits are on No6 Tank, he makes you go and count them and then compares your count with his. I have learnt so much from Bill and really enjoy birding with him. If you ever want to visit the marsh, let him know you're going (@FrodshamBirder) and he will be more than happy to show you round. "Turn that off I'm having me tea!" In the 1970's bird watching wasn't an interest that you bandied about in your school in north of Cheshire without having to defend it in the playground...with your fists! My first encounters like a lot of children was stoked by my mum. I am one of nine children and to pacify and to calm troubled waters that amount of kids generated required military precision, so walks in the countryside were required. The limitations of our frugal, feudal and fun lives were offset by these wonderful walks along the dusky lanes of Frodsham Marsh from our home at Seven Houses (between the Weaver Bend and Frodsham Bridge) in the early 1960's with the tunes of Yellowhammer. Corn Bunting and flashes of Yellow from the summer wagtails had a lasting impression and shaped my future outlook. 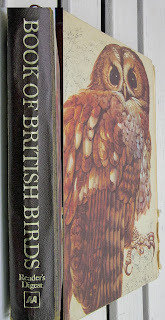 My interest in birds started a few years later at Manor County Junior School, Frodsham where me and two mates would pour over the delicious plates in the Readers Digest Book of British Birds whose paintings were finely crafted by the hand of New Zealand artist Raymond Ching (I've still got a copy and I still love it). Our teacher Mrs Jotham had brought in her copy for a lesson and she never took it back home. The three of us at break time would take it in turns to guess what the species was on each page by covering up the birds written name. We pretty quickly got to learn the bird species so when a Pied Wagtail appeared in the playground we'd had it covered at age 7. Anyway, I'm off at a tangent and Findlay asked me to write about being aged 13. 1972 was a massive shift from being a kid to growing up and becoming a teenager. I thought that being a teenager was about being in control of my actions but still having reassuring parents close to hand if I did muck up (which I often did and still do). Three things loomed large in my life at age13: A. Man Utd, B. Northern Soul Music and C. Nature. The first one has been a cruel mistress, the second fell by the wayside replaced with a more eclectic choice but the third has been like a comfort blanket ever since. I remember, aged 13 glued to the telly on a Sunday teatime waiting for some nature programme to come on BBC 2 and listening to the voice-over man building the dialogue up as a Golden Eagle majestically soared over a snow capped Scottish Mountain as he narrated "this is a once in a lifetime experience for a lucky few". Little did I know that many years later and on my birthday I would be watching one just like the cameraman's but soaring high over a Norwegian Fiord...That was majestic! Like I said my anticipation at watching this type of TV programme were not without a lot of pestering on my part. There would be the times when we'd be tucking into Sunday dinner and there on the TV a pupating caterpillar would emerge from its cocoon, and my Dad with a mouthful of roast beef " for crying out loud, turn that off I'm having me tea!" Mrs Ames was the duty head teacher at Frodsham Secondary Common and she ruled the roost like a pre-Margaret Thatcher, but her soft underbelly was her lunch time excursions to Castle Park for her "Nature Club". I went along with a couple of friends whose sole intention was to suss out any new birds nest sites. The 1970's was a time when kids went 'egging' but to give up their lunch break was a little too much and they didn't last beyond the first outing. Although interesting to see my first Whitethroat at the nest these nature outings were limited and I wanted to discover things for myself so my summer would be spent expressing my enthusiasm discovering the Cheshire countryside including long periods on Frodsham Marsh. During the school holidays I would cycle down to the marsh and for a shy 13 year old that bike gave me the opportunity to explore the countryside around where I lived. Along with the marshes, there were the sandstone hills to the south, Ince, Weaverham and the edges of the River Weaver to the east. But I never ever crossed north of Frodsham Swing bridge into the 'badlands' of Runcorn without me mates! Some of these cycle rides would conjure up a few goodies and at a local fishing pit I found a dead bat on the waters edge. On another occasion a tern floating over Pickmere (probably a Black) and then a family of fox cubs cavorting by their earth. I wouldn't recommend doing this these days but with school mates we'd swim across the open sludge tanks to cool off during those hot summer days (which seemed to last all summer long but in reality were no different than today) and then walking home covered in rapidly drying grey coloured mud which would be brushed off by the time we reached home. It was on Frodsham Marshes that I first caught sight of 'The Marsh Warden' a figure that we were wary of. In reality I later discovered was the first proper Frodsham birder Mr R.H. Allen. He pioneered Shelduck counts and was a frequent contributor to British Birds magazine and was the field officer of North Cheshire RSPB in his later years. Of all my wanderings on Frodsham Marsh one particular event is etched in my memory and is still fresh in my mind as it was all those carefree years ago. I was sat on the banks of the river close to Redwall reed bed when my attention was drawn to a movement at the edge of where the river bank met a rushy bay. I hadn't seen a Stoat before and was amazed to see one right in front of me and how tame it was! This small mammal was weaving in and out of the rushes edging closer and closer to a pair of Teal on the waters edge. The Stoat reappeared on the open mud bank and then proceeded to writhe its body in weird twists and turns and then it suddenly leaped high into the air before chasing its tail and continuing the twists and turns. These odd actions continued for some time and with each passing minute more and more birds appeared to be attracted to the Stoats bizarre dance. The tally of watchers at the waters edge included a couple of Coot, a Lapwing, a Little Grebe, Meadow Pipit, Sedge Warbler and then something I haven't seen before, a Common Sandpiper...No! I thought, thinking back to Raymond Chings illustration and the only bird (monochrome) book we had at home the Observers Book of Birds , it was a Green Sandpiper! I'd almost forgotten about the Stoat, then it made a lunge towards the assembled birds. The pair of Teal were the first to rise and flapped away, followed closely by the Lapwing, Mpipit, warbler, the grebe plopped into the water and the tripping sandpiper which flew away wing flicking and calling angrily as it went. By the time I returned my gaze on where the Stoat was it had disappeared, forever. All of these experiences have left a lasting impression on me and my passion for all wild things of Frodsham Marsh were flamed from those teenage years and I've kept that wide eyed wonder with me ever since. A few years later I met another teenager on the marsh and we shared quite a few adventures together. Fast forward to three years ago and again I met a new young birder. One of them was called Martin Garner and the other was named Findlay Wilde.